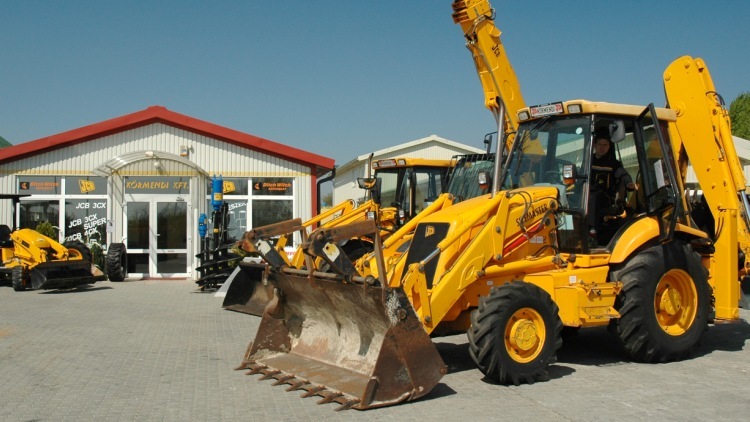 The company started selling used JCB machines 17 years ago. The machines are sold after the necessary checks and repairs, with the installations requested by our customers. The name JCB became one with unquestionable quality. Körmendi & Co. offers quality CASE premium category products from Western-Europe and sells after the necessary checks and repairs, and with the customers requested installations. Quality second hand construction machines from foreign countries. 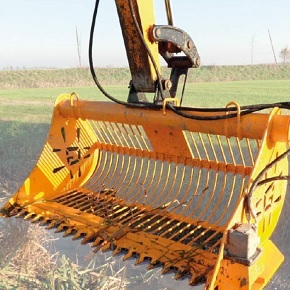 Machines offered by our company enhance work in the construction industry and agriculture, etc. The machines are sold after the necessary checks and repairs, with the installations requested by our customers. Amond the variety of backhoe loaders two main types are distinguished: compact four-wheel drive rigid chassis models and larger articulated loaders. 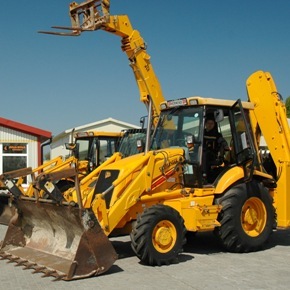 Due to the articulated design, the machine has a loader function in the front, and backhoe function at the rear. The machine's transmission is powered by a hydrostatic drive. Small and strong. 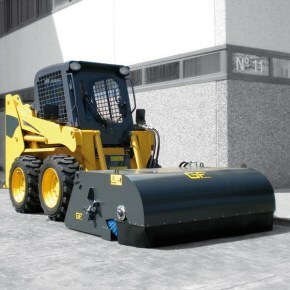 Low dead weight trencher for smaller soil jobs. 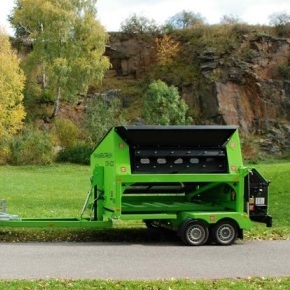 The equipment is hydraulically tiltable, thus can be operated up to a maximum 15° slope. The excavated soil can be ejected on both sides of the machine or can be moved away on a conveyor belt. 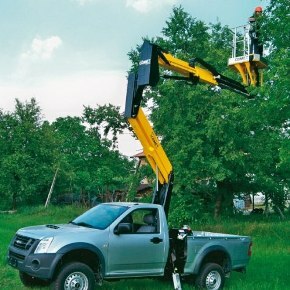 Besides the construction industry the aerial platforms can be used in several fields: building maintanance, urban managament, gardening or forestry, or any other hardly accessible, high altitude jobs. Despite it's size, it is a very efficient machine which can be used at minor constructions, gardening jobs, ditching and material handling. 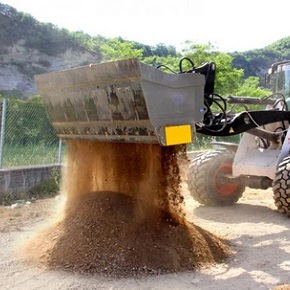 With the help of the attachments produced by the Italian manufacturer everyone can turn their MultiOne into a multifunctional contruction machine. Quality products at an affordable price. These rubber track minidiggers are essential tools for all constructions and road building jobs. The Italian manufacturer offers thirteen different machine types varying from 1 to 9,5 tons, with the customers requested installations. With the help of the minidumpers several work processes can be made more efficient, which have previously been done manually. 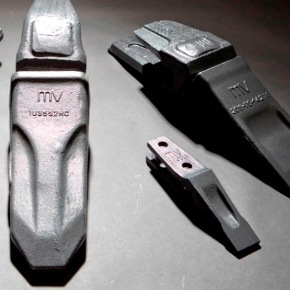 Beyond the many available additional installations, among the standard equipment are for example the vibration absorbing footrest, auxiliary hydraulic circuit, and hydraulic chain tensioner. Find what you need and order in time! Sales and offers at our website www.munkagep-alkatresz.hu . Competitive prices, sales from stock, fast delivery, large spare part supply, individual offers, domestic package delivery, continuos promotion. Not only for machines sold by Körmendi & Co., but for most construction machine types used in Hungary. Choose Körmendi & Co as your partner, this way your parts will be available for you in time, quickly and at a low price. 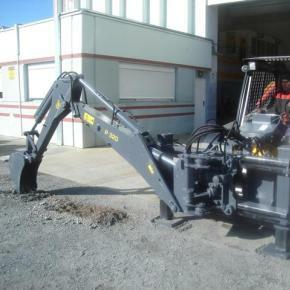 Those who would like new equipment with a lower investment, Körmendi & Co. recommends the products of GB with their favourable prices for used breakers. 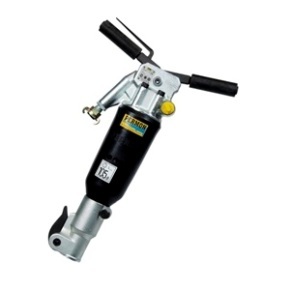 For building demolitions the most important equipments besides the mounting machine are the supplementary breakers. 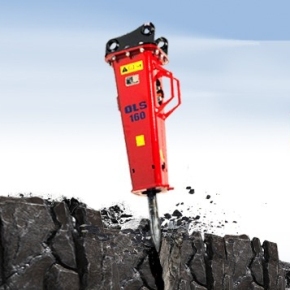 Amongst the demolition equipments one of the most efficient tools is the demolition hammer , which can be mounted on most backhoe loaders and special demoltiton arms. The comfort and safety of the operator is guaranteed by the silenced and anti-reactive grip design. 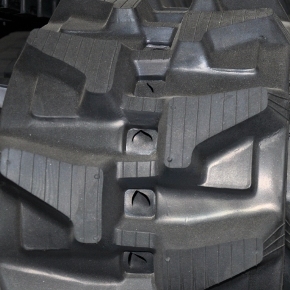 The lowered noise and vibration level increases productivity. 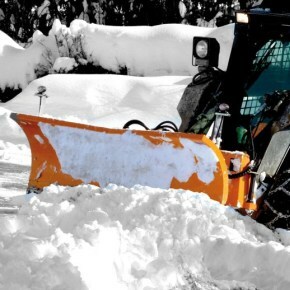 Due to the excellent performance to wieght ratio the operator is less exhaustible. The modern and robust design increases reliability. The possible applications of contruction machines is broadened by the Italian hydraulic breakers offered by Körmendi & Co. The CFA drill is a specially made stake with a continuos and hollow spiral. 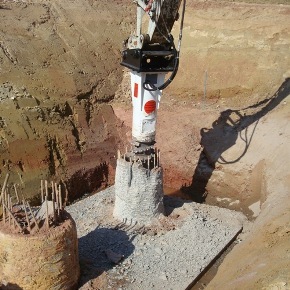 After reaching the desired drilling depth. concrete can be injected into the drilled hole while pulling out the spiral. 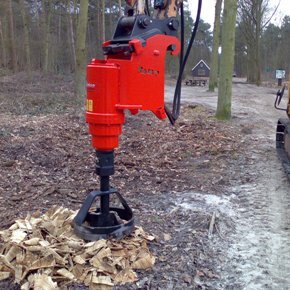 The R-top stumpplaner is a very unique equipment which has several advantages compared to any other methods used for removing tree stumps. The English Auger Torque Company offers a wide range of hydraulis augers in different sizes and performances. Due to its robust and safe attaching method, the drum cutter can be used under the most difficult circumstances. 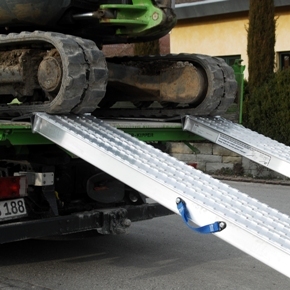 AOS ramps are strong, weather-proof aluminium alloy ramps. The objective of the design is to provide high load capacity for low platform heights, while its net weight being very low. The surface is covered by a wedge aluminium profile making movement on the ramp very easy. 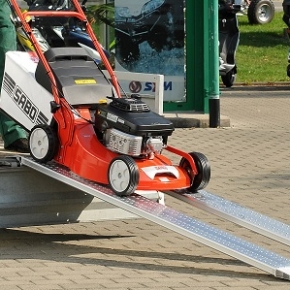 These ramps are designed for the movement of smaller sized and smaller net wieght machines like mini tractors, lawnmowers, or rubber track machines. The enforced ramps are not only very solid, but very long lasting as well. These aluminium ramps are made of a special compressed aluminium profile making it a high capacity and at the same time very light ramps. With a maximum inner width of 155 mm it is perfectly suitable for the movement of motorcycles, trolley, generators or any other smaller machines. 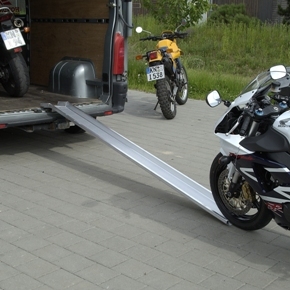 Thanks to the special profile, the ramps can be stored easily, without taking up too much room. 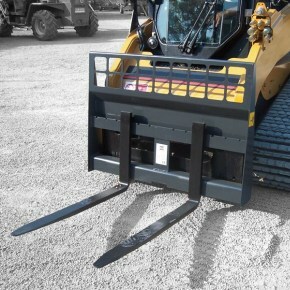 The robust design of these ramps make them suitable for the movement of very heavy machines such as backhoes, loaders or any larger construction machines with steel tracks. 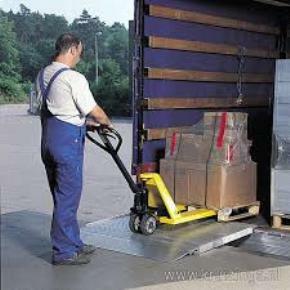 An essential equipment for deliveries to shops, event organizers or moving businesses who use smaller rubber tyre carts for moving material into and out of a lorry. The slip-free surface makes these ramps the perfect choice for event organizers. 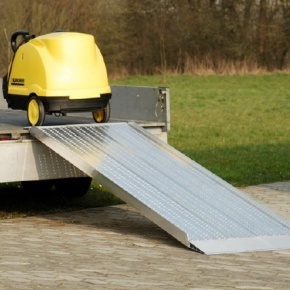 These ramps were especially designed for cleaning companies, bakeries and delivery companies. The light weight of the ramp makes it easy to handle during the many and frequent laoding proccesses. Handling is eased by gas springs. 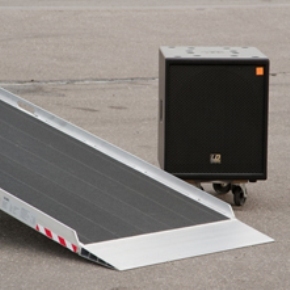 These ramps are most often used in the occassion of car service. An alternative solution in the absence of a service pit or lifting platform. Designed for professional use and small loads. The perforations provide ideal surface for moving up and down the ramps. 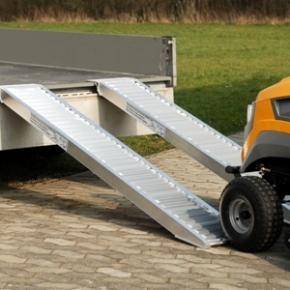 The light wieght aluminium design of these ramps amek them the perfect choice for everyday use. The mobile loading ramps provide a classic solution for loading mid-axle height machines onto and from trucks and vans at any height. With these bridge ramps the gap between the platform of a truck and the concrete platform of a storehouse can easily be dealt with. 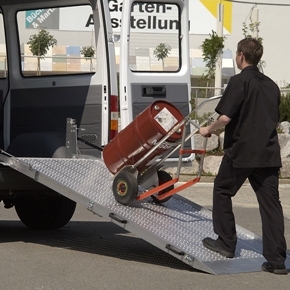 Using these ramps, two problems can be solved at once, not only is it suitable as a ramp, but as a rear door for a truck or van. 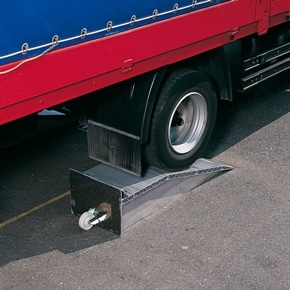 The FBS leveling ramps are most suitable for loading with a maximum level difference of 250 mm and load capacity of 6 tons. The surface is slip-free, available in a galvanised and painted form, both are rust resistant. 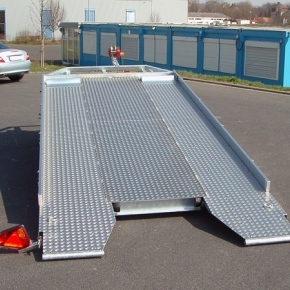 These wheeled ramps were designed to safely increase the height of lower vehicles in order to ease loading. Very light and mobile structures. Does not require special maintanance and is suitable for almost all vehicles. 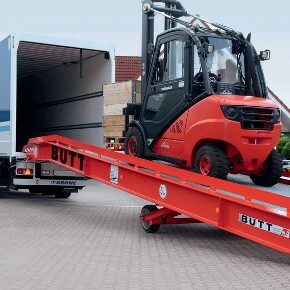 Blöhmenröhr Fahrzeugbau introduces the new generation, low platform, light load capacity thandem trailer which is perfectly suitable for the everyday transportation of construction machines. The low platform trailers ranging form 2.1 to 3.5 tons are extremely reliable, sturdy and hardly require any technical maintenance. Blöhmenröhr's high load capacity low platform trailers ranging from 5 to 10.5 tons are extremely reliable, sturdy and hardly require technical maintenance. Blöhmenröhr's tandem trailers provide an ideal transportation solution for construction, gardening, landscaping and other industrial companies. These trailers, ranging form 6.9 to 18 tons are suitable for transporting larger contruction machines ar large amounts of cargo on pallets. Large amounts of cargo, pallets or construction machines needed to be transported? The powerful tipper trailer is the best choice. 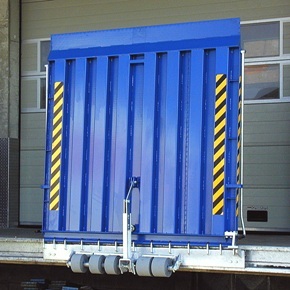 Easily convertable into a low bed trailer, ranging from 6.9 to 18 tons in weight. Extremely reliable, sturdy and hardly require technicel maintenance. 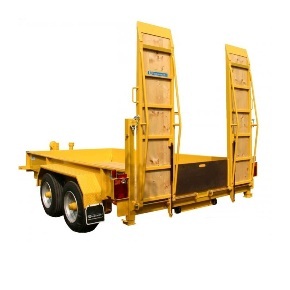 Galvanised axle, V-shape towing hitch, rubber torsion axle with reverse automatised breaking system, high density steel plate platform, anodised aluminium side bars (25 mm thickness, 350 mm height, 3000 mm length with engrossing attachment, 3500 mm length without engrossing attachment) integrated rear door, canvas applicability at the corners, rear lamps under the platform. The HLN trailer is the basic model of our high platform trailers. Available in both one and two-axle build. The HLN trailer includes: screwed chassis, galvanised V-shape towing hitch, reverse automatic rubber torsion axle, anodised aluminium side bars (25 mm thickness, 330 mm height) with engrossing attachments. 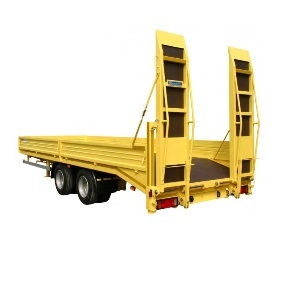 The one-axle HLC trailer is available in three different lengths: 2.6 m, 3.1 m, 3.6 m, all with a 1.7 m width. Ideal and compact trailer for professionals. 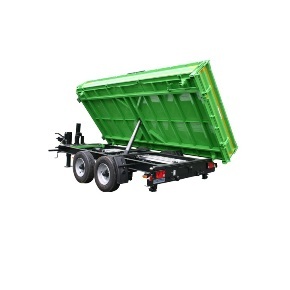 The HLNK model is a very economical and compact tipper trailer and can be remarkable for private customers as well. All models are the result of many years' experience and testing. 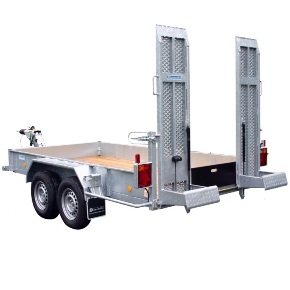 Trailers are installed with robust welded gears, anodised 330 mm tall side bars and rubber torsion axles. The KHL trailer is a classic one. Especially practical due to the large space provided for the transported vehicle by the ramps found at the same level of the platform. Thanks to tipping structure handling is easy and quick. At the same time KHL is a robust trailer due to its galvanised chassis structure. Not only is it sturdy, but elegant as well with its stainless aluminium platform and side bars. The KHl trailer is the choice for professionals. 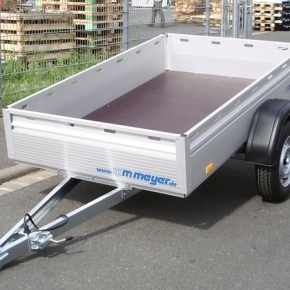 WM Meyer® has been the leading manufacturer of box and freezer trailers for many years. This is no coincidence since we offer the widest range of products and have acquired the most experience and have the suitable infrastructure for the production of these product. All trailers are made of our own sandwich design panels which have a special foam core and is covered by polyester plates. If requested the AZ 16 series can be ordered with plastic covers as well. Galvanised axle and V-shaped towing hitch, reverse automatised rubber torsion axle, WM Meyer® chassis, auxiliary wheel, lamps (12 V), anodised aluminium profiles, sandwich structure panels (25 mm thick), completely insulated white, high density plywood floor, one lockable door, one vending window with springs on the right (possible extra vending window in the rear if requested), two outer door knobs, four kickstands, aluminium step above the towing hitch for access to outer door. All of WM Meyer's ® horse transporting trailers, starting from the top model Nevada, or the standard Montana series, or the newest Arizona model, are the results of the decades of experience and design. From the beginning the basic requirements we set for our trailers were the outstanding quality, maximum safety and comfort of moth driver and transported horses and good appearance. It is very important that contruction waste is recycled for both environmental and energy efficiency reasons. 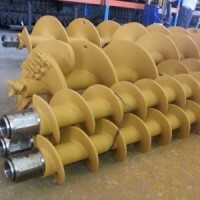 Körmendi & Co. offers efficient multiple types of adapters for the grindig of constructional waste. 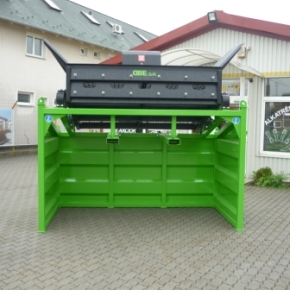 Waste collected at demolition or construction sites can be easily shredded with the help of CM's crucher buckets, which come in many different types and sizes, applicable to many construction machines. 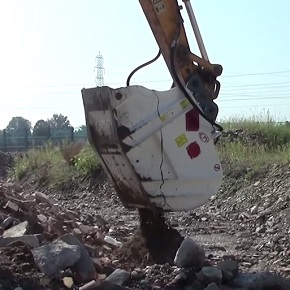 The crusher buckets we offer are an ideal solution for demolition companies since the material left can instantly be shredded and recycled. 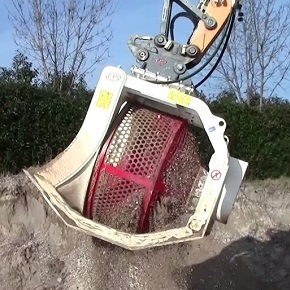 The CBR sreening buckets can be used in many places, for instance for exposing natural resources from river beds. 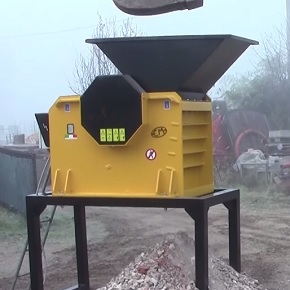 This compact and efficient screening bucket is available in five different types. 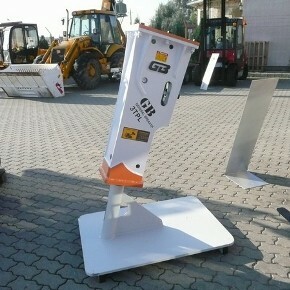 Thanks to its light weight and strong structure it can be installed on any loader machine ranging from 3 to 36 tons. 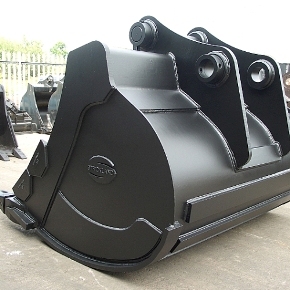 The crucher buckets can be attached to classic construction machines and the manufacturer offers a wide range of adapters fit for any construction machine starting for mini excavators, backhoe loaders through to large backhoes and loaders. 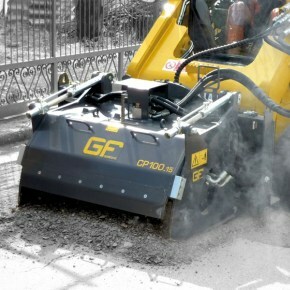 The attachable rotary cutters can easily substitute any hydraulic breaker for the demolition of solid structures (e.g. rock or concrete). Thanks to the inner hydraulic engine and direct drive, the rotary cutter has a high performance rate besides its environment friendly operability and low noise level. The swinging planer is applicable for the planing of asphalt and concrete surfaces, attachable on the arms of backhoe loaders. This equipment can offer a great service in hardly accessible places, the fields of use is widened by its capability to plane on vertical or inclined surfaces. 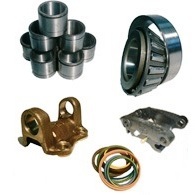 C&F Company has many years of experience in the field of manufacturin adapters. 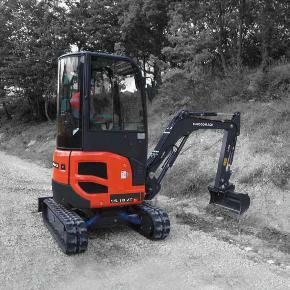 The Italian company offers more different products in many different versions, which can be attached to mini axcavators and backhoe loaders and almost all construction machines. 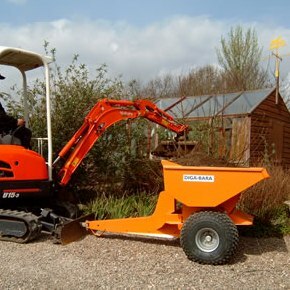 Wether it is road maintenance, construction, agricultural or gardening that needs to be done, the adapters are of a great service in all fields. 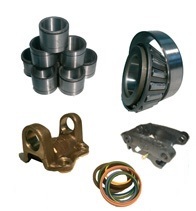 G.F. Gordini Company has twentyfive years of experience in the field of manufacturin adapters. 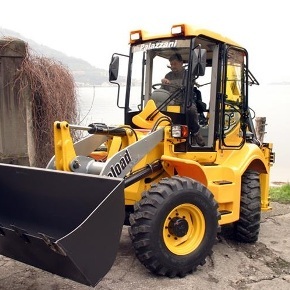 The Italian company offers twenty different product in many different versions, which can be attached to mini axcavators and backhoe loaders and almost all construction machines. 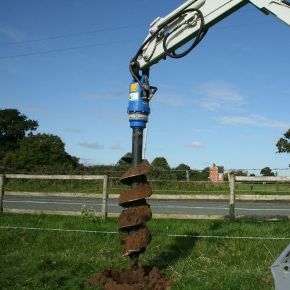 Wether it is road maintenance, construction, agricultural or gardening that needs to be done, the adapters are of a great service in all fields. Körmendi & Co. offers a wide range of adapters to its partners with which owners can greatly increase their machines' fields of use. With the help of affordable low price adapters many jobs can be done with already available machinery which in the past would have required the purchase of totally new equipment and machinery. From the supply of adapters traded by Körmendi & Co. everyone can choose the equipment best for their job. The complete list of offers can be found at our company's website. Welcome to the website of the Körmendi Company! Hungary, 2310 Szigetszentmiklós, Csepeli road 32.